Now that you have decided that St.Lucia is the destination that you want to travel to, you need to find the best accommodation to fit your needs. We don’t always want to do the all-inclusive resorts. If you do want to see the island in its full beauty, the best way to live is by staying at some of the most amazing villas in St.Lucia. we have come up with a list we think that will suit you. Whether you are traveling with a group or you are just a couple, we have the perfect villa for you. Before we get started, we want you to give our Facebook page a quick like and be sure to follow us on Instagram for some amazing inspiration. We also do use Affiliate links in some of our posts meaning we could make a commission if you purchase from links. TripAdvisor is also one of our Affiliate partners that we link too. The Kite Surfers Haven villa is located in the town of Gros Islet. This is a 3 bedroom villa, which has 4 bathrooms and can sleep up to 6 people. It is great for families planning a vacation together, or a group of friends traveling together. It is minutes away from numerous beaches, and a 5-minute drive to the local shops, restaurants, and nightlife. It comes with a TV, WIFI, and AC in every room. If you feel like having a BBQ, the is a BBQ outside that is available to you. Start planning your trip to this beautiful island today and book one of the most amazing villas in St.Lucia. The Caraway Villa is located in the town of Gros Islet. This villa comes with 3 bedrooms, 3 bathrooms and can sleep up to 6 guests. It is about a 5-minute walk to the beautiful Cas en Bas beach. Restaurants, shopping malls, and supermarkets are just a mere 10-minute drive away. There is access to a plunge pool and a full kitchen is available to use at your disposal. I think this could be a pretty amazing villa in St.Lucia that a group of friends could enjoy. The Great House in Marigot is a little bigger than the first two. This villa in St.Lucia comes with 4 bedrooms, 4 bathrooms and can sleep up to 10 people. This villa is more private for you and your guest. You have to your very own pool so you don’t have to worry about having other people disturbing your party. This is the perfect villa for groups or it works for couples as well. It is also a 10-minute walk to Marigot beach, and there is also a small almost private beach called Trou Rolland where you can escape with your special someone. The Private Cottages in Marigot is perfect for couples looking to have a romantic getaway. They come with 1 bedroom, one bathroom and sleeps, 2 people. When staying at this villa in St.Lucia, it is recommended to have a car rental as it can be a bit difficult to get to. A taxi service is also available to you at an extra cost. It is a 20-minute walk to the grocery store, banks, and restaurants. The pool is available day and night to use at your disposal. Housekeeping is also included in your stay so you don’t have to worry about always cleaning up after your self. There are many activities to do around the villa like horseback riding, hiking and bird watching, so you will never run out of things to do. Book your stay today at this amazing villa. Coco Piton Villa is located in the fishing village of Soufriere. It comes with 4 bedrooms, 3 bathrooms and sleeps, 8 people. Complimentary breakfast is provided at your request. There is a private chef that is available for an extra cost. If you looking to have an amazing dinner, the dasheen restaurant at the Ladera Resort is a short 8-minute walk away. There are many activities to be done in the town of Soufriere visiting the Sulphur Springs or going to the Botanical Gardens. A car is recommended to get around or you can use the many taxi services that are available on the island. The Samfi Gardens villa in St.Lucia is a couples paradise getaway. There are 8 units at this villa. Each comes with one bedroom, one bathroom and sleeps, 2 people. It is a great place for honeymooners and nature lovers. It is located 5 minutes away from the beach. Guest also have access to the pool with a view overlooking the ocean. There is also full access to the kitchen but if you don’t feel like preparing your own meals, there is a restaurant for lunch a short 5-minute walk away. The Providence Estate Villa is located in the small fishing village of Laborie. These affordable apartment-style condos come with 5 bedrooms, 4 bathrooms and can sleep up to 10 people. It is great for family vacations or a group of girlfriends traveling together. It is a short 5-minute walk from the beach and is known to have the best view in Laborie. The airport is a 10-minute drive away so you don’t have to worry about missing your flight because of traffic. There is a massage therapist and a chef on staff to make your vacation very relaxing. I say its time to book your stay at this amazing villa in St.Lucia. The Holiday Villa comes with 5 bedrooms, 5 bathrooms and can sleep up to 10 people. There is a hammock in every room so you can have your private time on your balcony. It is great for groups who are adventurous and love outdoor activities. There is a guide on hand that takes you on the most amazing hikes and nature walks. It is a 20-minute drive to all the main tourist attractions in Soufriere. There is a hotel nearby that has an accessible pool. There is a restaurant 5 minutes away from the villa if you are looking for some local food. The Santori House villa is located in the town of Micoud. It has 4 bedrooms, 4 bathrooms and can sleep up to 8 people. It is great for groups as well as couples traveling to St.Lucia. It is known to have the most incredible sunset view of the Atlantic Ocean. There is a secluded beach just steps away from the villa, so you can feel like you have your very own private island. The kitchen is fully accessible to use if our want to prepare your own meals or you can hire a local chef on the island. A rental car is recommended to stay at this villa if you want to get around and visit the island. The is a guard 24 hours a day so you can always feel safe and secure stay at this villa in St.Lucia. The Wild Orchid Villa in Cap Estate comes with 5 bedrooms, 4 bathrooms and sleeps up to 10 people. Staying at this villa in St.Lucia you get the perfect view of Pigeon Island, the beautiful island of Martinique, and the cruise ships passing by. It is a 10-minute drive from Rodney Bay where you can enjoy some souvenir shopping, or have lunch at the local restaurants. There are also many beaches around the area. You really have everything you need staying at this villa in St.Lucia. Well, have you booked your stay yet? Looking for accommodation in St.Lucia shouldn’t be that hard. There are so many options available at affordable prices. These are the best villas on the island of St.Lucia, so depending on where you want to stay on the island, you can pick any one of the 10. Please let us know how you enjoyed your stay in St.Lucia. 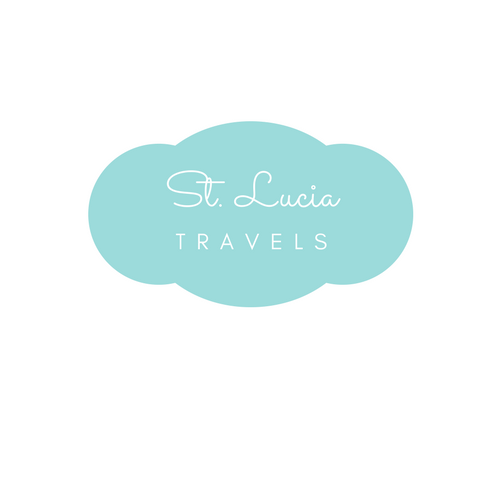 We at St.Lucia Travels always love hearing from you.